Sleeper sofas are the ideal solution for extra guests, children’s sleepovers, and homes or apartments with limited space. 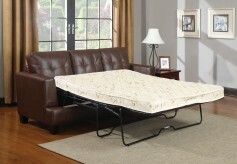 You sleeper sofa can be a comfortable couch by day and an extra bed by night. At Dallas and Fort Worth's Furniture Nation, we have one of the best sleeper sofa selections in town, with many choices in styles, sizes, and fabrics. 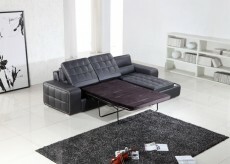 Our leather sleeper sofas are soft and supple, and our fabric sleeper sofas are an excellent option as well. 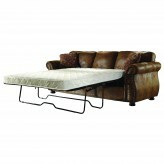 Sectional sleeper sofas add tremendous versatility to your family room or living room furniture, and our queen sleeper sofas come as part of our sectional sleeper sofas or as separate pieces. Our great selection of sleeper sofas here in Dallas can suit many styles, and come in modern, traditional, formal, or casual designs. Visit our Furniture Nation showroom in Dallas and Fort Worth, and let our friendly sales professionals help you choose the best sleeper sofa for your home. Near Grapevine or Lewisville? Shop online and we can deliver.